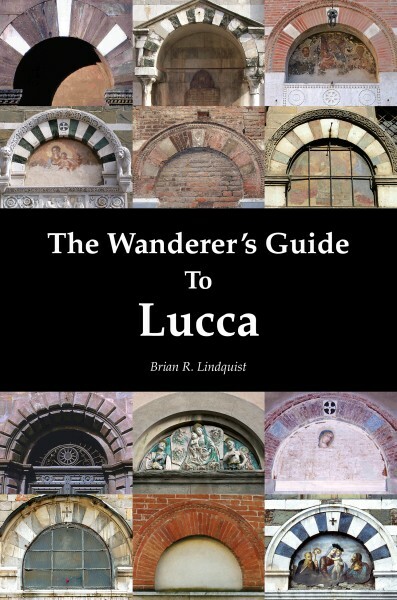 Wanderer's Guides & Maps - Lindquist Historical Guides, Inc.
Lucca is a maze of streets, all filled with secrets. The Wanderer’s Guide to Lucca lets you wander in this maze, quickly find out where you are, what you are looking at, and learn something about it. Every building on the map is color coded and numbered for easy reference to the text. History A review of the 2,000 years which gave us the city we see today. Many more historical details are woven into the sections that follow. Churches There seems to be a church on every corner in Lucca, and they are the repository of much of its artistic heritage. A comprehensive guide to 78 churches, present and past, with 30 floor plans and 16 numbered walking tours. Palazzi An architectural and historical introduction to 85 Medieval and Renaissance mansions and palaces. Families The families who lived in these buildings were the soul of the town. 40 of the greatest families are introduced. Streets Origins and curiosities of the most interesting streets. Walls The history of the Roman, Medieval, and Renaissance (today’s) fortifications. 374 pages + 5 pages color maps. More than 100 b&w illustrations. “My wife and I have just returned from a week long stay in Lucca. Our original intention was to spend a couple of days there and use it as a base for trips in Northern Tuscany. Once we got there, we never made it outside the walls. The reasons for this are Lucca and your guide, which I cannot praise highly enough. I think you have produced what should become a travel classic.” –D.T., Scotland. “The best ‘story behind the beauty and history’ guidebook we’ve seen. We usually like guidebooks that are full of colorful shots and splashy graphics. Brian Lindquist’s The Wanderer’s Guide to Lucca is neither and that’s why we love it.” –Steve Wright, Urban Travel, Sustainability, and Accessibility. Read the full review here. “Personally, I love, love, love this book. And the map…don’t even get me started on the map…” –Michelle Steele, i love Lucca tours, New Zealand. 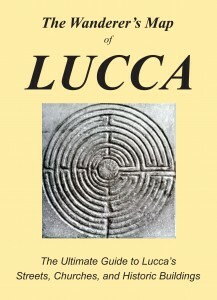 Since its publication in 2006 The Wanderer’s Map of Lucca has been acknowledged as the best map of Lucca.